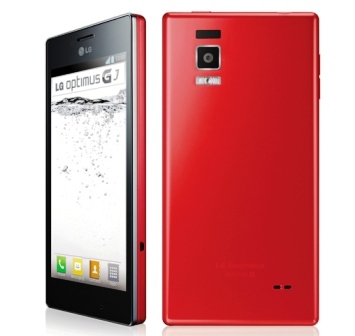 LG has just step the water resistant smartphone technology, releasing LG Optimus GJ in the Philippines, to dominate electronic gadgets industry, while Sony Xperia Z and Samsung Galaxy Active have the same feature, LG Optimus GJ will be much cheaper compared to the two giants, with less that 20k price. Optimus GJ will certainly be a hit breaker and outrank similar devices. Powered by 1.5GHz quad-core Snapdragon S4 Pro processor and 2GB of RAM, GJ will be fast and powerful, giving more odds over other smartphone brands. On the screen side, Optimus GJ will give a good challenge to Super AMOLED, as it was equipped with 4.7-inch (720x1280) True HD-IPS + capacitive display with 312 pixel per inch density. The camera is also a big hype for this smartphone, record clear videos with 1080@30fps Full HD recording support, plus 13MP camera. Running on Android Jelly Bean, with exclusive Optimus User Interface v3.0. Read more for complete specs and price. For Php17,790 at Widget City | Available now in selected LG Mobile Stores, and Kiosk nationwide. Note: Price may vary depending on location and seller. Might not available on some areas. Kindly share your thoughts about this phone, and if you happen to have it, kindly share your experience with us. Thanks.